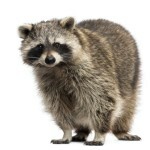 Wildlife species such as squirrels, raccoons and skunks can be a major pest problem for homeowners, especially in the spring time. The best way to prevent these pests is to prepare your home and yard ahead of time. Squirrels and raccoons usually cause problems in attics, storage rooms, crawl spaces between the floors of a home, whereas squirrels can also get into dryer vents and stove exhaust vents. Skunks are normally found under decks or storage sheds. Clean up areas around your home and remove any unnecessary litter, paper, food or rotten fruits from your backyard. Use lid-securing device to keep the covers of your garbage can tightly closed. Soak 3-5 tennis balls with ammonia and distribute them around the places you think they can be nesting. Exclusion, make it difficult for squirrels and raccoons to get to the roof of your house by keeping the trees trimmed away from the house. It is always recommended to contact a pest control and wildlife specialist for better and more sustainable solution.